John has worked with numerous clients to create artwork for book covers, magazine covers, and play posters. These eye-catching images and beautiful images that people depend on to sell their product or event are carefully crafted after a thorough discussion of the clients needs and desires. 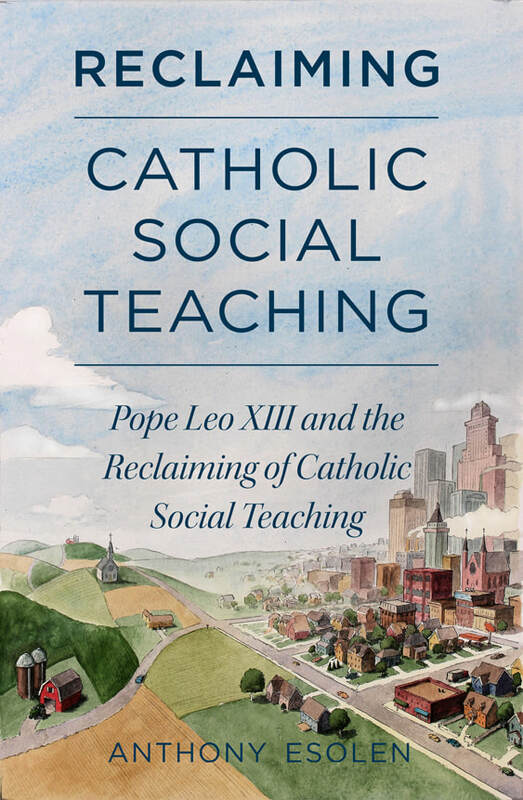 Design credit for "Catholic Social Teaching" belongs to Carolyn McKinney and Perceptions Studios published by Sophia Institute Press. Appearing above from left to right and top to bottom, cover illustration from "Catholic Social Teaching" - pen and ink with watercolor, "And Then There Were None" for the Omnibus Players theater group - black ink layered with opaque white then assembled in Photoshop, the first and second books in the "Brave Hearts" series written by Kathryn Swegart - computer art, artwork for "A Mother's Rule of Life" published bye Sophia Institute Press - pen and ink with watercolor.